Discussion in 'Houston Rockets: Game Action & Roster Moves' started by LosPollosHermanos, Feb 22, 2019. Zergling, RichieBanks, ISOBall and 1 other person like this. "too expensive for my taste"
I don't know if House would be making a difference right now, but the way he was playing was great for our system. I don't know if it was just a hot streak or he was legit turning into a consistent player, but these money moves kill me as a fan. I want House back on our team. Bo6, Corrosion, carib and 10 others like this. It's no denying at this point he is missed and needed. The team played at their best when he was on the team.Tucker, Green and Gordon are not playing well enough this year for the FO to penny pinch and play games at this point. It has been clearly shown to us that maximizing the roster is less important than financial gains this season. BasketMAD, slothy420, roxallways and 1 other person like this. I'm sorry but I still think Tucker is overrated. Cant hit contested layups, or any shots in the paint. Can't shoot 3 as of the past 3 months. Slightly overrated defense. Doesn't rebound well offensively. & if he does his put backs don't go in. Sure as hell can't pass. Is afraid to dribble up court and rushes a pass to harden some times leading to a turnover. Can't pass. Gets complete tunnel vision if he gets the ball. Doesn't see rollers open, doesn't see potential lobs. He's just not that skilled at all. seemoreroyals, BasketMAD, gfab-babyboi and 4 others like this. Come on Rockets, give this man an decent contract already. He’s the 3D wing player we desperately need. House is better defender than Green, and can score the ball better than Pj Tucker. He hustles too. He fits our system very well. How is this even a question? He was shooting over 40% from three, is younger, taller, more athletic, and has a longer wingspan than P.J. Tucker. House as a PF > Tucker or Anderson. He'd be the best PF we've had since... Scola? Look at the Rockets on/off stats when we had House. Our 3p%, net rating, DREB% were all very solid with House on the court. bj3175 and ilovehtownbb like this. bj3175, napalm06, BasketMAD and 3 others like this. Need House or any playable wing at this point. We are a much worse team this year without Ariza. Not that he was a great player or anything, but wing depth went from a strength last year to a glaring weakness this year. Rockets don't have a decent wing defender OR PF above 6'6'' at the moment. (actually we don't have ANY of either outside of Tucker). We made average players like Ingram of all players look like an all star out there getting his shot at will. ilovehtownbb, bj3175, gfab-babyboi and 1 other person like this. @YOLO Can you please defend your godsend Tucker? Or should I just bump one of my old threads? 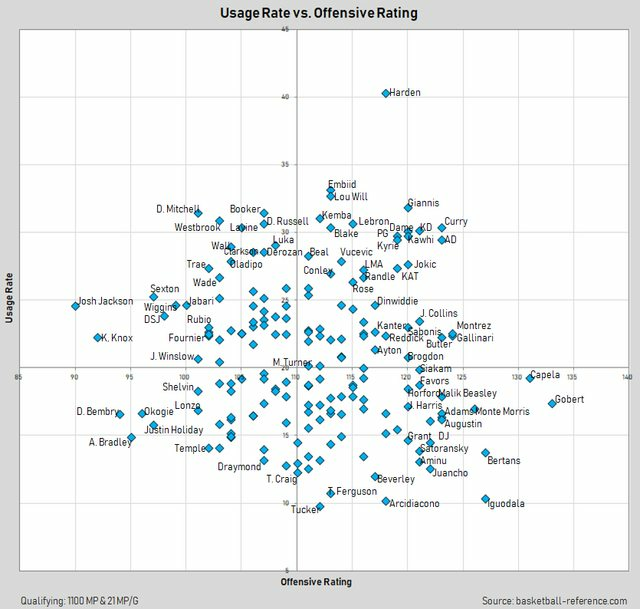 Tucker is one of the worst players on the team currently and I recommend giving all his minutes to Faried at this point. By this time next year he will be a Brandon Knight/Ryno contract due to his age and further regression. No clue why Morey didn't trade him, Gordon and 4 1sts for Butler. This entire board would be singing a different tune by now. RichieBanks and jerryclark like this. Shumpert is 5th or 6th best guard on this team. Most likely won’t see much playing time in meaningful playoff games. Cavs were struggling and one of the worst supporting casts to reach the finals last year and Shumpert still didn’t play. Will be playing overseas shortly. ilovehtownbb and LorneMalvo like this. How about that guy House!